1. Connect BT-210 module to OpenCM9.04 C controller and power on controller. 2. Go to the Control Panel. Under Hardware and Sound, click Add a device. 3. 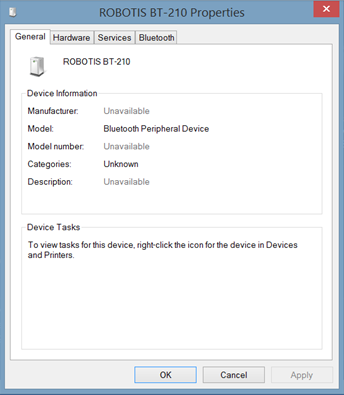 Your PC should recognize the BT-210 module as ROBOTIS BT-210 Unknown. Click Next. 4. Enter the pin (0000) and click Next. 5. 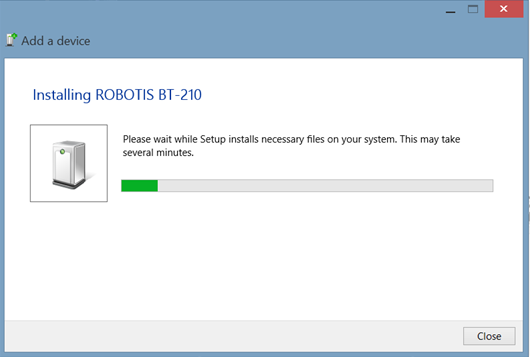 Your PC will connect to the BT-210 module and will begin installing the device drivers. 1. 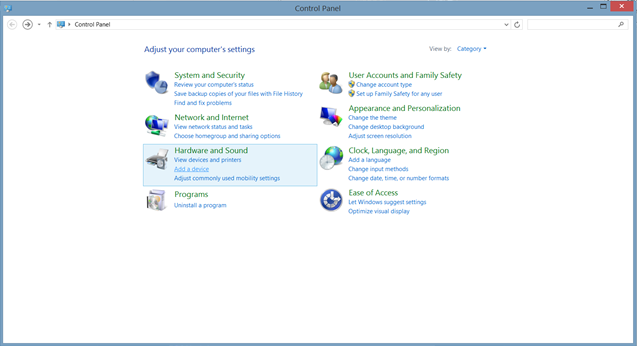 Once driver installation is complete, go to the Control Panel. 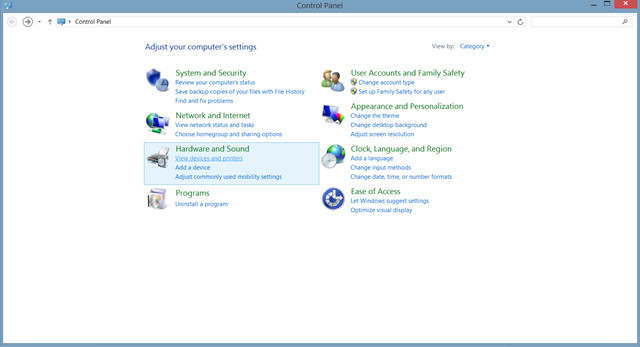 Under Hardware and Sound, click on View devices and printers. 2. 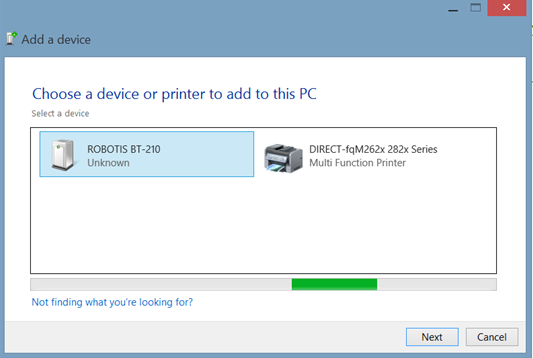 In the Devices and Printers window, scroll down to Unspecified. ROBOTIS BT-210 should be under Unspecified. 3. 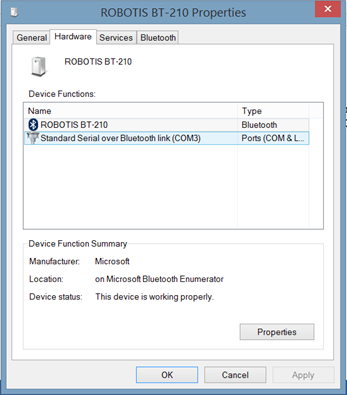 Right click on ROBOTIS BT-210 and click on Properties. 4. Click on the Hardware tab. 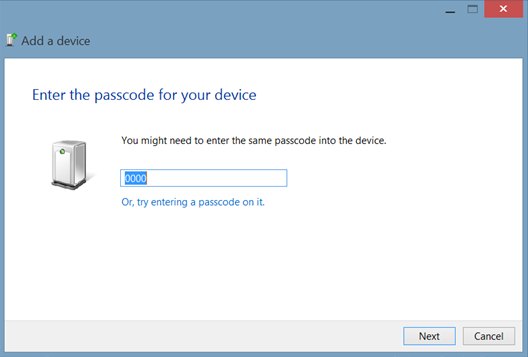 Under Device Functions, you should see Standard Serial over Bluetooth link (COM#). This is the BT-210 COM Port Number.